This message is the edited version of Jonah’s Intensive “The Coming Pandemic” given September 2006. Jonah goes into detail about the consciousness of disease and how to prepare for the coming pandemic, which has now arrived. 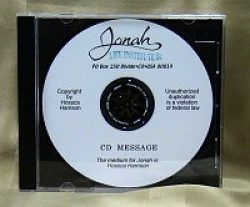 Jonah speaks of the pandemic as coming in waves, each wave becoming stronger. Over a million people in the United States alone have contacted this virus, is the second wave preparing to occur? Jonah talks about what to expect and how to prepare your mind, body and spirit. This message is over 2 hours in length on 2 CD’s.